The American Academy of Pediatric Dentists has created some great Did You Know tip posters for parents. We love this one! The best way to treat a cavity is to STOP it before it starts! 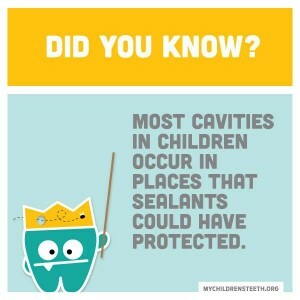 Sealants are a great preventative measure, and most times they are covered 100% by insurance. Make sure to ask your awesome Alligator Dental doctor if sealants are right for your child. Click here to see other great Did You Know posters by the AAPD.